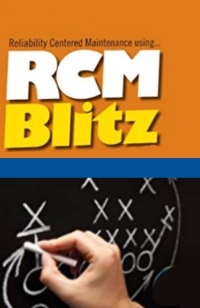 The RCM Blitz™ Software was developed with input from RCM Facilitators and Practitioners who have a combined experience of over 100 years and nearly 1,000 completed and implemented RCM Analyses. While this packaged was designed for the facilitation of RCM Blitz™ the software will work with any Traditional RCM Methodology that complies with the SAE J1011-12 RCM Standard. Designed with the ability to upload and manage your companies existing equipment hierarchy, the package also allows for company growth and change allowing the user to add and delete assets and components. Simple to use and affordable, the RCM Blitz™ software is available for single users as well as corporate license plans. For over twenty years RCM Blitz™ has been focused on helping our customers to implement a RCM program that provides a return on investment for every RCM you perform. We have accomplished this by focusing on the correct critical assets up front and working to make your RCM implementation simple and painless. Try our Reliability Center Maintenance software tool today and find out why RCM Blitz is the most successful RCM methodology available today!